The Instax Mini 7s....and why we are addicted to it! A while back, we were invited by Fujifilm to witness the launch of their new Instax Mini7s and the Instax Mini8 Bundle Pack. The event itself was a super fun one and we walked back home with the new Instax 7s to test and try. Shortly afterwards, exams came around and I wasn't able to give the camera a proper go. I love blog sales! Which beauty lover does not? You get to try new brands and products without investing toooo much money. I had never heard of Cargo Cosmetics before, and Divya from The Conscience Fund was the sweetest ever and threw this in along with our other purchases from her blog sale. The fact that I have reached for this blush almost ever since I have got it, is proof enough of how much I am loving it already! May gone! Whoa! Time is flying, isn't it? Remember the old days, when we were young and had only about 2 pairs of basic shoes? Of course this counts in the home slippers. If you were a girl, you probably had a nice pair of ballerinas which you wore when going out to a fancy place. Okay maybe another one in a different color, just to be fancy. And boys had a pair of sport shoes. All the 90's kids will know what I am saying. Not many people know this about us, but Swati is an ardent coffee lover while I worship tea. 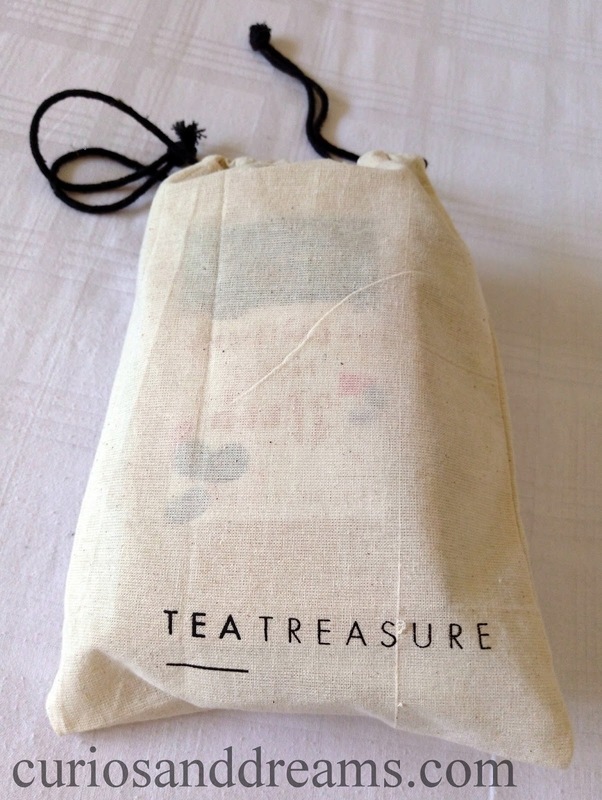 Tea for me is not just a treat for the taste buds, it holds great sentimental value as well. Evening chai is a family ritual, and I've been known to accompany my mother in drinking 3-4 cups in a day! Although at home we love the quintessential chai, I've broadened my horizon and learnt to appreciate the wide variety of teas the world has to offer. 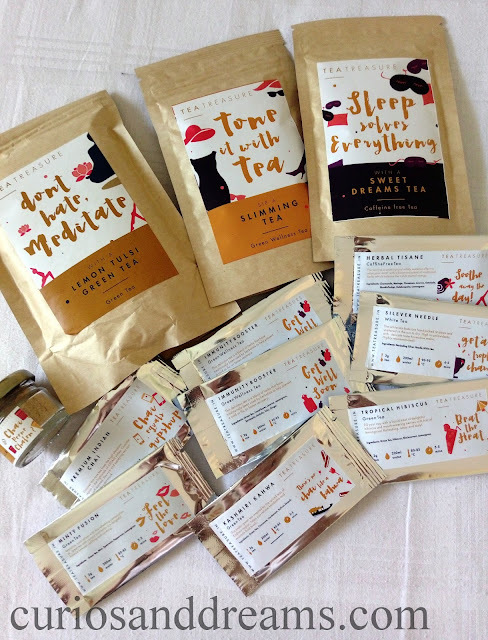 I especially love Twinnings Earl Grey and Lemon & Ginger, and I'm lusting after berry flavoured teas. While searching for good quality herbal teas available in India, I stumbled across Tea Treasure, a website dedicated to fulfilling all your tea needs while guaranteeing to make the whole experience a deeply satisfying one. Needless to say my happiness knew no bounds and I immediately knew I had to give it a try! When it comes to lips, I usually never stray from nudes. It's not just the profession's demand, but also a matter of convenience. Having a few different toned MLBB shades in my collection makes it easy to pull together any look, no worries! However, every now and then I like to do a complete U turn and sport a bright lip, be it a special occasion or just to run an errand! It's good to shake thing up, right? And that's when beauties like Stellar take the limelight. And with that crazy pigmentation, and even crazier neon tinge, it's hard to keep Stellar away from attention... believe me. One of the first skincare products I was introduced to by my mother was rose water, and ever since the Fab India steam distilled rose water was the only toner / face mist in my stash. I still think it's one of the better budget rosewaters available in our market and will repurchase or recommend it without a thought. I am sure you have heard me mention this several times here and on social media by now! The basic thing is - Life has been super stressful at work and in general. I find myself giving exams every other day. Don't even get me started on last week...it was an absolute nightmare. Imagine having to give exams 8:00 am - 10:30 pm for 2 days straight...yes, that is how it was! I am continuous in lack of sleep, have permanent eye bags and dark circles and to top it all, I am losing hair like crazy (read - shedding). I am so happy that you all liked the posts in the Summer Series! Nothing makes us happier than reading your appreciative messages. Many of you requested this post, so here it is. Intially I wanted to keep it at 5, but well, there is never such thing as too many lipsticks, is there? 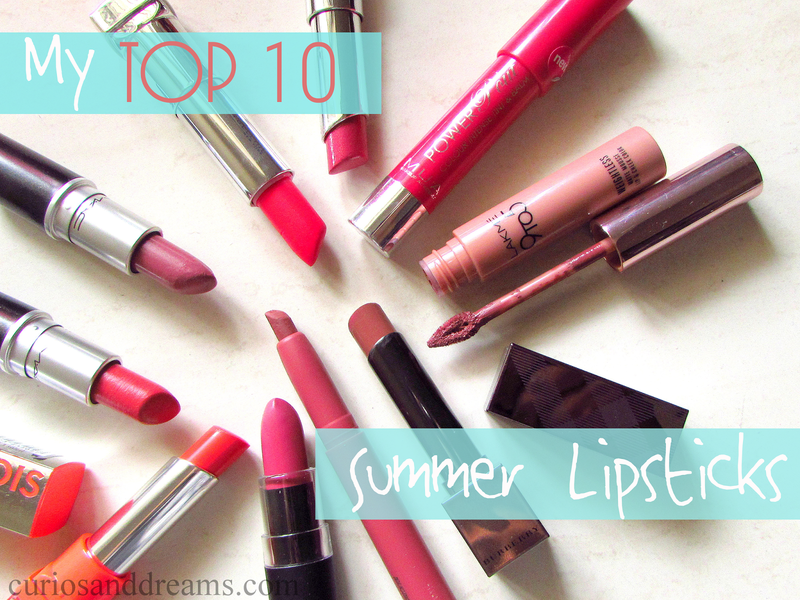 So here are my top 10 summer lip colors! Happy Reading! When it comes to mascaras, I generally tend to like the Maybelline ones. My first mascara was the Hypercurl one, I quickly upgraded to Colossal and when I tried out the Falsies...well, that was love! No matter which mascara I am testing/trying, I will always have a tube of Falsies in my stash! Even the Falsies Big Eyes was a good one, especially with a smaller wand for the lower lashes. Unfortunately though, I did not like the Magnum Barbie one that much and went back to my trusted Falsies. But when they came out with the Falsies Push Up Drama, I was super hopeful, afterall, it was from the Falsies family...! Summer = Florals! No discussion over this! Which is why we could not resist from doing a floral nail art! Also, my love for gold and white is eternal, so I combined the 2 colors for this one. 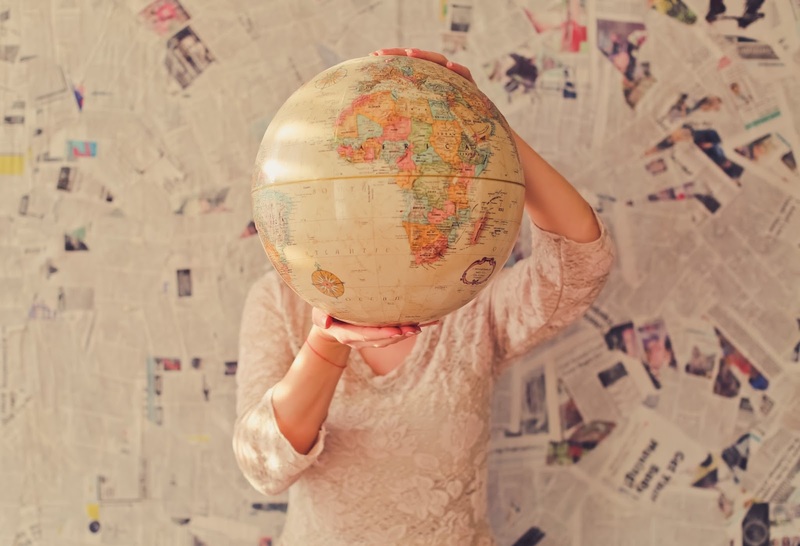 Wanderlust is an itch that you have to, sometime in life, give in to! When such a time and place comes a gentleman will not be caught off-guard. The great guys at Spruce Shave Club are friends in need, who will be every gentleman's, friend indeed. From their stable of great products, comes the The Traveller and the Loaded 5X Traveller variant. Oils are my new thing. I 'discovered' them quite late, but late is better than never! 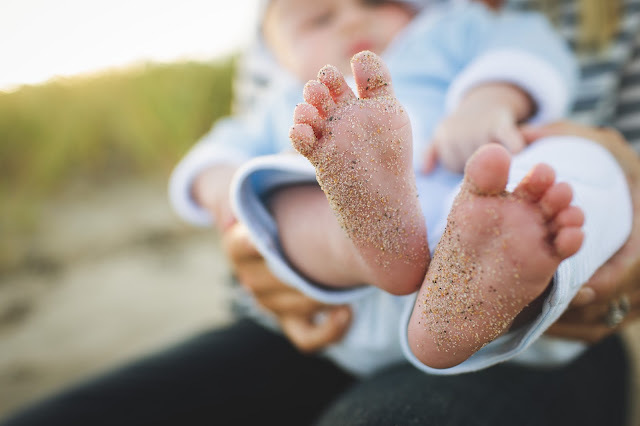 First of all, Thank You for loving our Summer series! It makes us so happy knowing that you all appreciated the previous posts and we will be working on more summer related posts for sure! 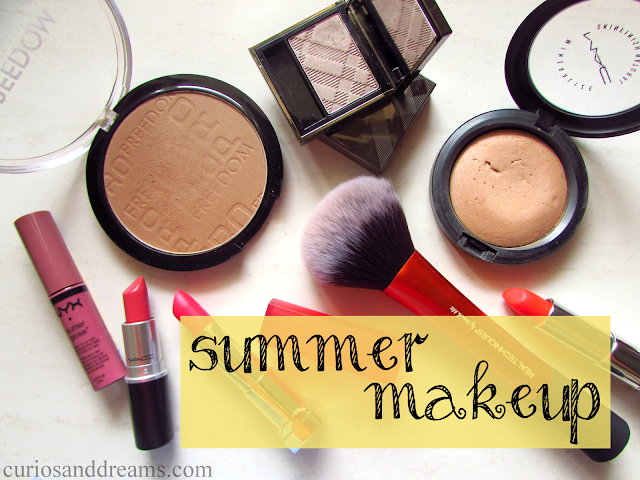 And since we all love makeup, why not have a guide to summer makeup? Let's start shall we?